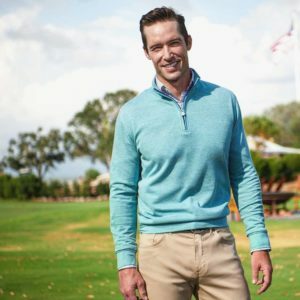 The Locker Room | Layer up in Peter Millar for Spring! 01 Feb Layer up in Peter Millar for Spring! Quarter Zip Sweaters and Vests in vibrant hues along with Five Pocket Pants in Basic colors and more adventurous shades as well. Our Peter Millar Shop is full of these Spring items as well as Sport Shirts, Sport Coats and More!